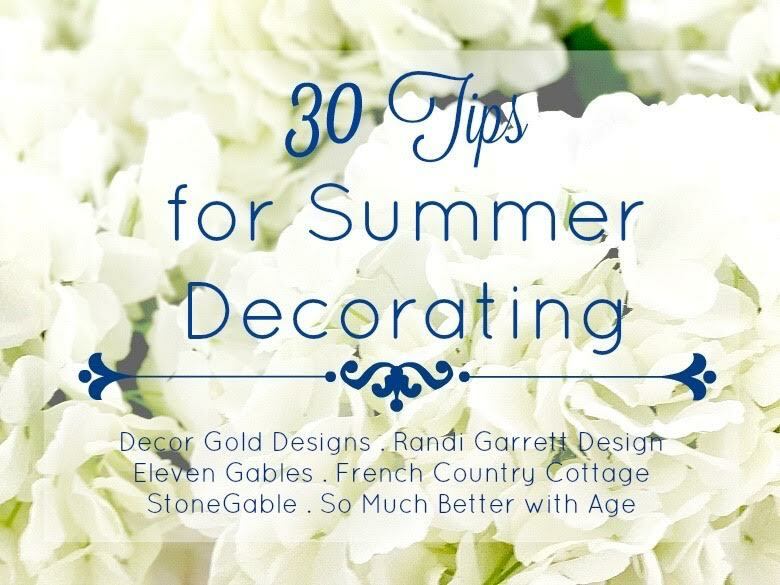 Today, I am joining 5 other beautiful blogs to bring you our 30 Easy Tips for Summer Decorating. 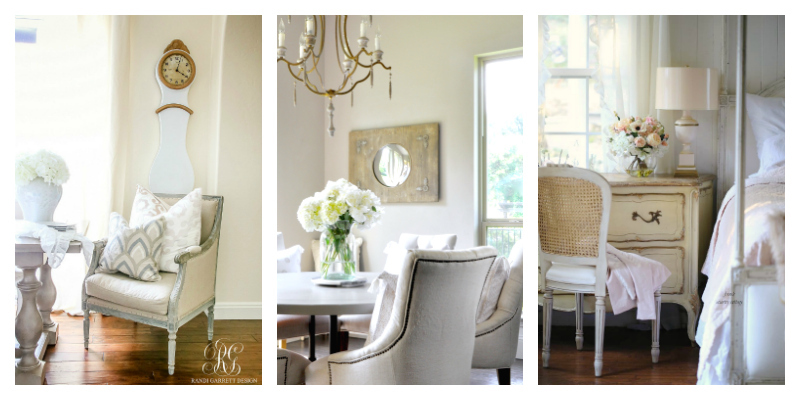 Since my family spends the majority of our time outdoors in summer, it is only fair to give you my secrets to creating a beautiful and relaxing outdoor setting. 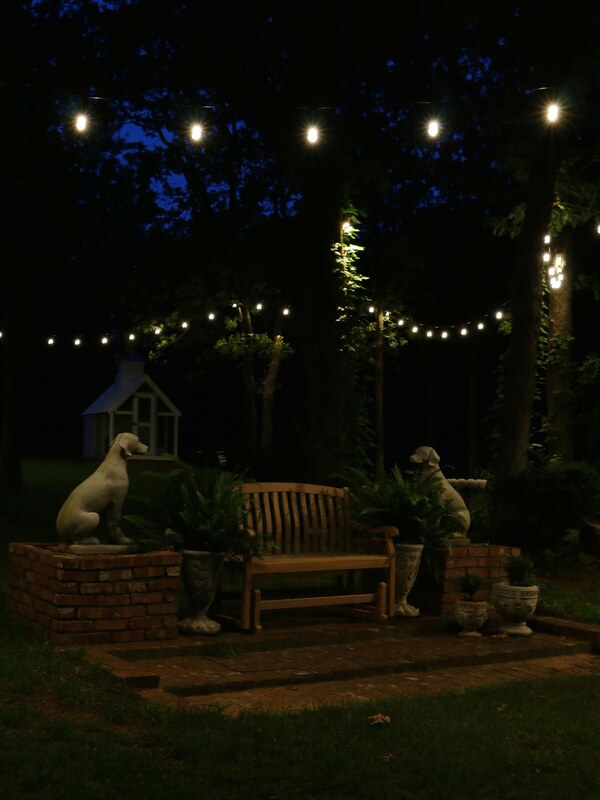 1) Outdoor lighting is such a beautiful and easy way to add ambiance to your yard. 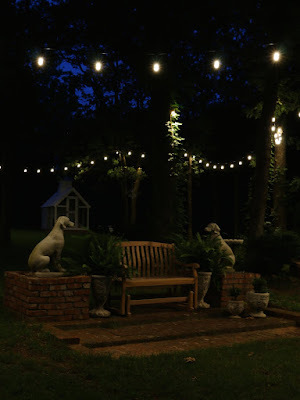 Whether you string them along the fence, across the patio roofline, or through the trees, lighting adds a certain twinkle to your outdoor setting. 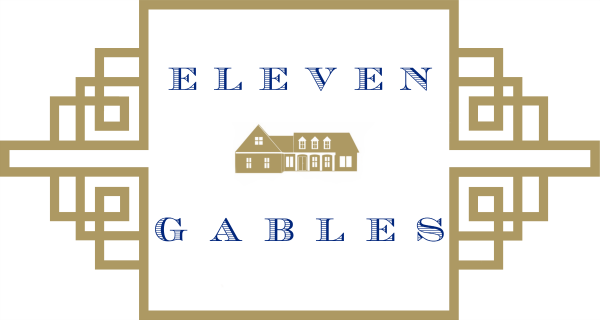 We just purchased THESE and absolutely love them. They made it through an Oklahoma wind (80mph) storm just fine! 2) Placing a beautiful outdoor area rug (HERE) not only ties your space together, it will hide any unsightly concrete or deck. 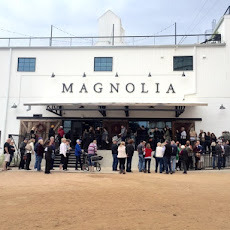 To see the entire patio tour, click HERE. I use one of THESE every day to keep my porch tidy. It literally takes me 60 seconds a day to clean my porch! YOU NEED THIS IN YOUR LIFE!!!! 3) Freshen up your patio set with paint! I have had this wrought iron patio set for years... a good spray paint change from black to white (I used THIS) made it fresh and new for summer! You can easily pick a set up on local garage sale sites, craigslist, or even HERE!! 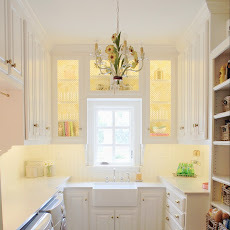 4) A place to set your drink is a must. I love to bring my blue and white outside for the summer. 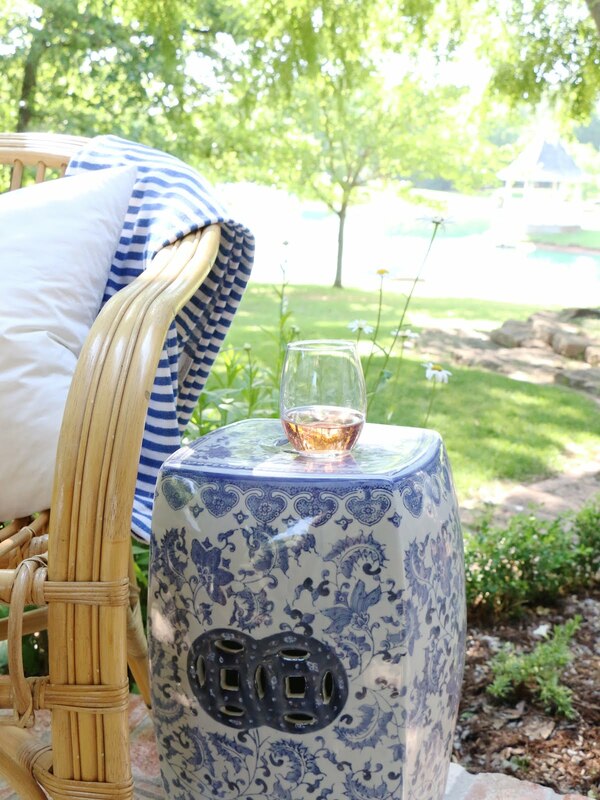 THESE GARDEN STOOLS provide the perfect place to place your refreshing drink on a summer evening. 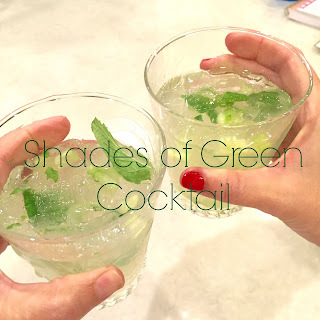 THIS YUMMY COCKTAIL is perfect to serve on a summer day! 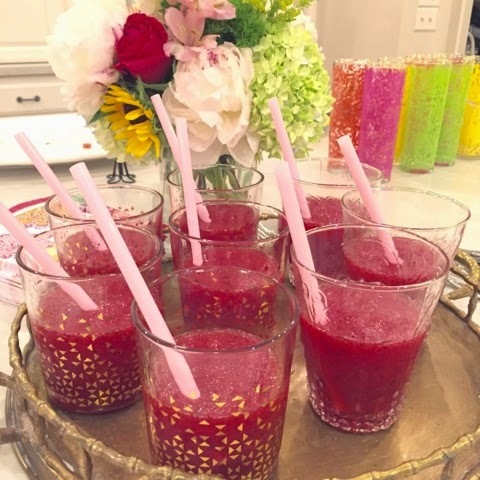 or this yummy Cherry Limeade Margarita! Happy Summer from my backyard to yours! 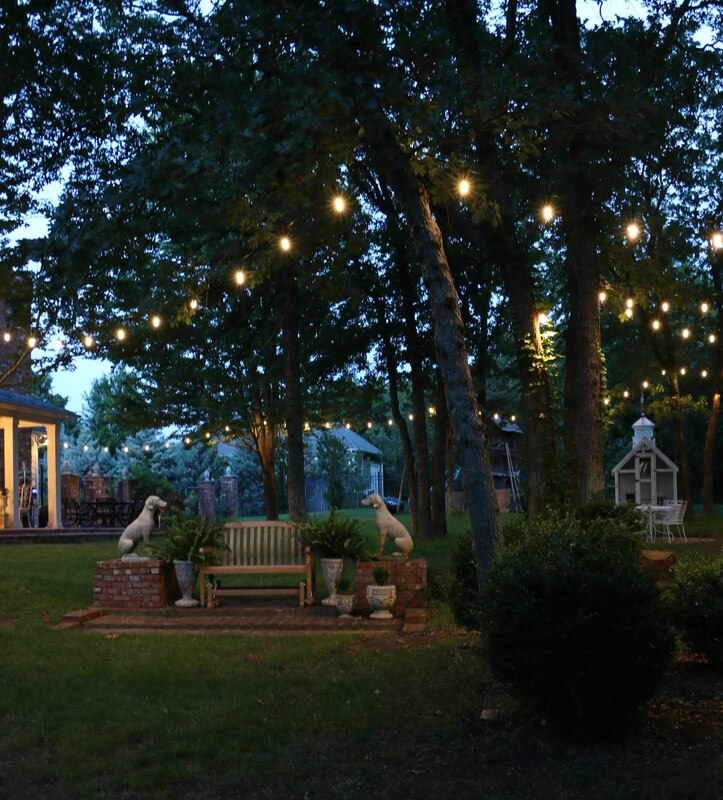 Emily - I totally agree with you on the string lights! They add a little something special to the summer yard. 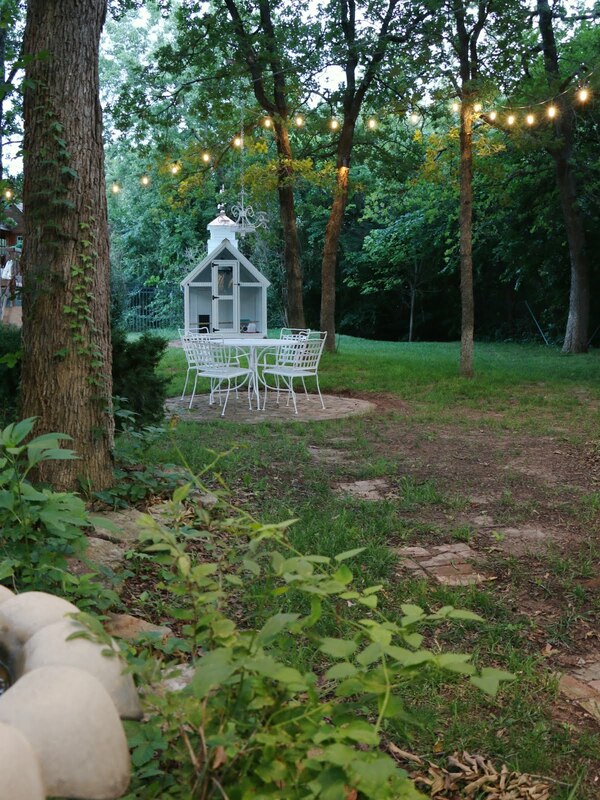 I bought ours at Costco (which look similar to yours) and can't wait to hang them here at the farmhouse backyard once we move in. 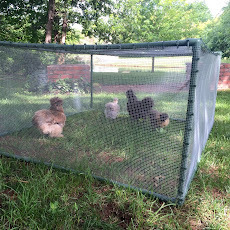 :) Looking forward to hearing more about your chicken coop. Have a good week! Great tips!!! Did you finish your bedroom? Great tips and love your outdoor spaces!! !...so beautiful! Love love your summer tips- outdoor lighting is definitely a favorite! Fun being on this tour with you Emily! 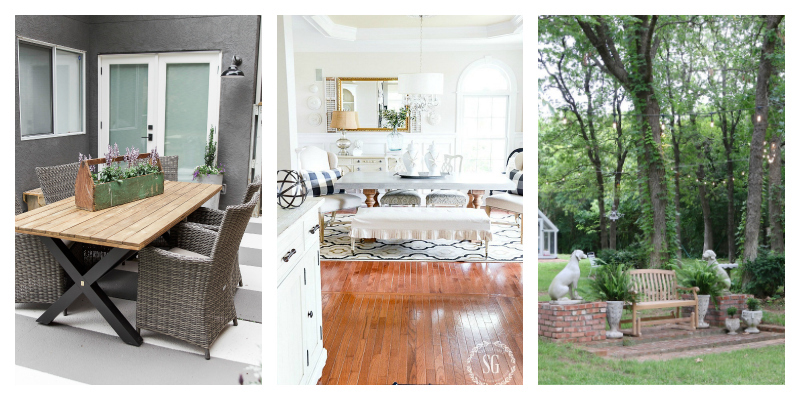 I have been so inspired by your outdoor space. We just completed a deck remodel and we bought pb saybrook furniture and Looove it! I have been looking for a link to the battery powered blower you use for your patio. Did the link disappear or was I dreaming that it was part of this post? Thank you! Jennifer A. It's still there and it's on sale!!! !